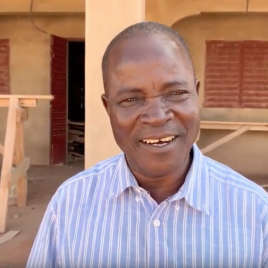 Burkina Faso is one of Drop Inn Ministries largest projects. 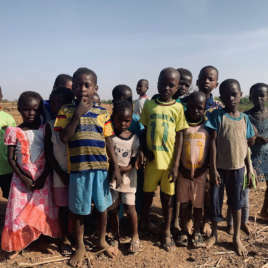 In the town of Koudougou, in South West Burkina, we have built five schools that educate an approximate 550 children, of whom the majority are Aids orphans. Burkina Faso was Drop Inn’s first African project. Connection was made in 2003 through a pastor based in our focal town of Koudougou, in the south-west of the country. 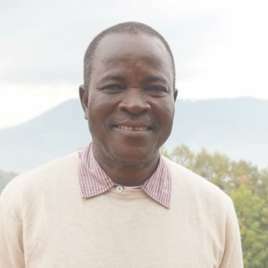 Etienne Yameogo has been our main point of contact since, resulting in over a decade of great progress together. 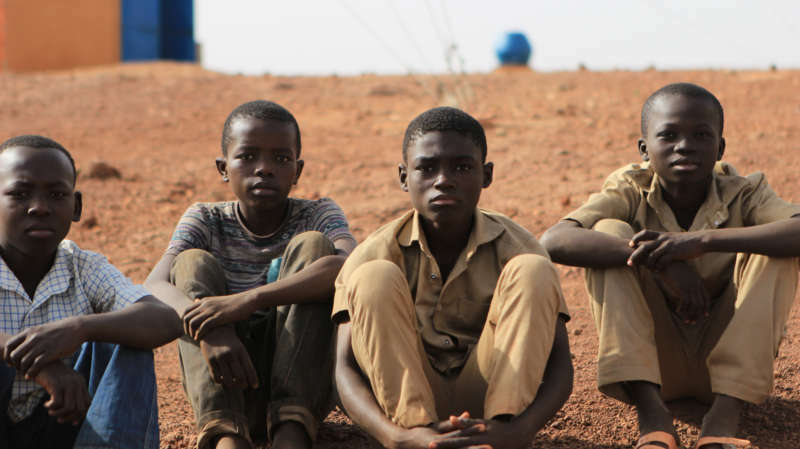 Burkina Faso is one of the poorest countries in Africa: a landlocked country with little going in or out; a former French colony mined for gold but, sadly, the profits of which rarely go back into the country. As a result of the extreme poverty and poor prospects, AIDS has become a major problem. With the direction and leadership of Pastor Etienne — somewhat of a powerful figure in his community — we’ve been able to focus our efforts on feeding and education. In 2003 we built a school which served 150 children in Koudougou. 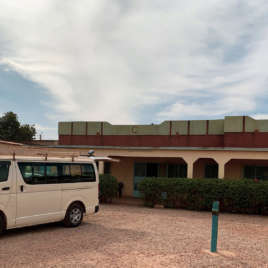 Now we have four primary schools that provide high quality education to over 600 children, and we are thrilled to hear of many pupils are now taking their careers even further, with some heading to university in the capital, Ouagadougou. 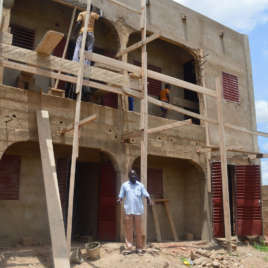 If you have visited our projects in Koudougou, you will have stayed in our guest house. This has been the headquarters for teams since 2004. There are at least two opportunities to visit and serve in Burkina Faso every year. We would love to see you there! You will be well looked after. The guest house also provides a support ministry for young people all year round. 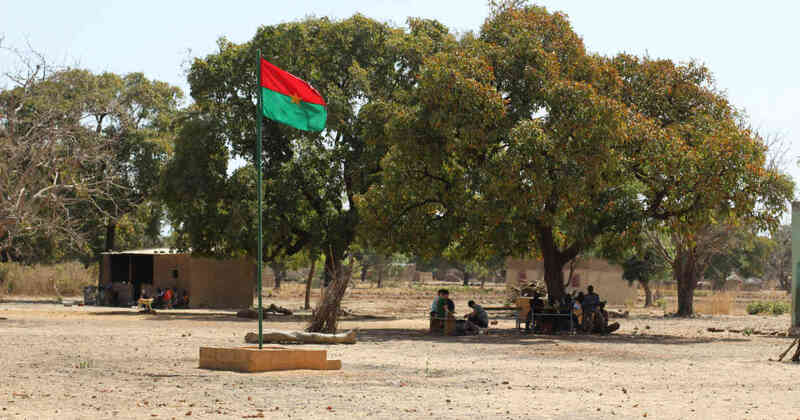 Burkina Faso has opened the door to many opportunities for us and it’s thrilling to see a small, landlocked, poverty-stricken country blossom in surprising ways. We are privileged to support four young leaders who are being mentored by Pastor Etienne. We also run a widow support programme. Fresh water is scarce, but we have been able to dig wells in each of our five focus areas, which means clean, healthy water for pupils, teachers and communities. When large numbers are used to describe success, it’s difficult to put a face on it. If you ever get a chance to visit, however, you will see individuals, and personal stories. One story that broke our hearts for this beautiful country was that of a little boy called Nufo. Director Ronnie Dawson describes the moment he glimpsed Nufo on an early visit to Koudougou. What he thought was a small animal scampering across the ground turned out to be a small child whose legs hadn’t fully formed. It’s our belief that everybody needs a second chance, and Ronnie took on the challenge to give this boy a new hope. Working with Etienne we have been able to provide Nufo with prosthetic legs, replacing them as he grew. Now in his late teens, he’s a talented musician, heavily involved in his church. On a visit to Koudougou, a team noticed that whilst the children were receiving improved accommodation and education, simple health checks and treatments were harder to come by. For many people, ailments could only be treated in the capital city of Ouagadougou. This meant an expensive journey that many most locals cannot afford. We decided the answer was a to build a high-quality clinic in Koudougou. We are pleased to say the clinic is almost finished, and we are planning to send out a team of nurses to train the local staff. We send teams to Burkina Faso twice a year. If you want to be part of one of these teams, get in touch. It’s a great way to see our work first hand and meet the kids. If you can’t do this, there is an opportunity to sponsor a child.